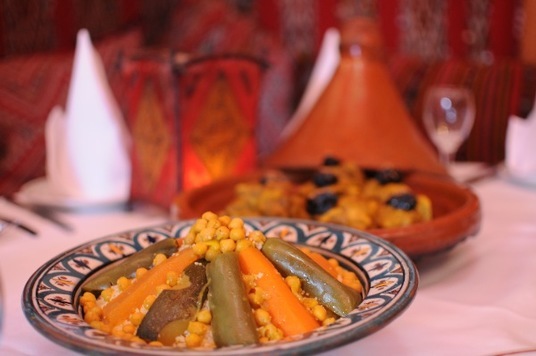 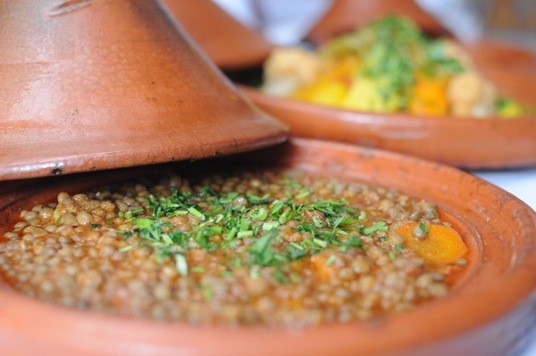 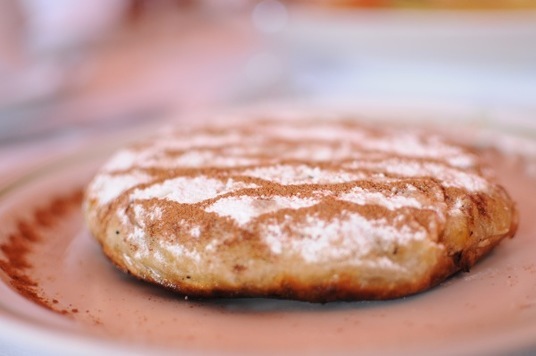 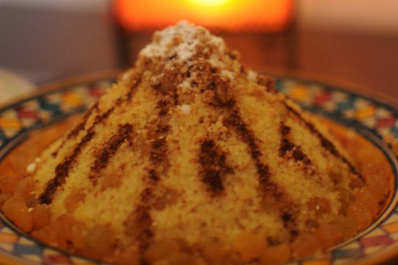 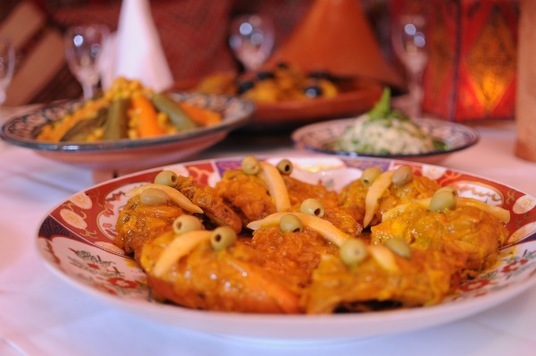 The food we serve is in the tradition of the historical cities of Morocco. 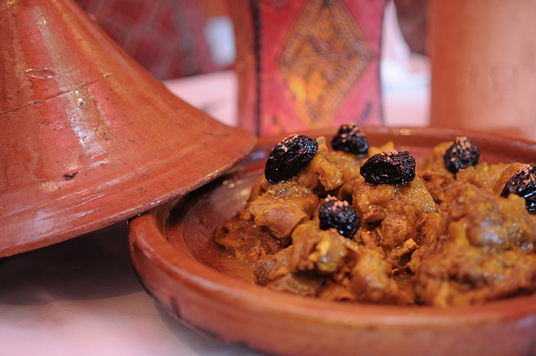 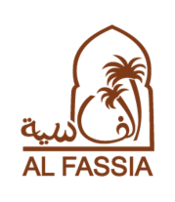 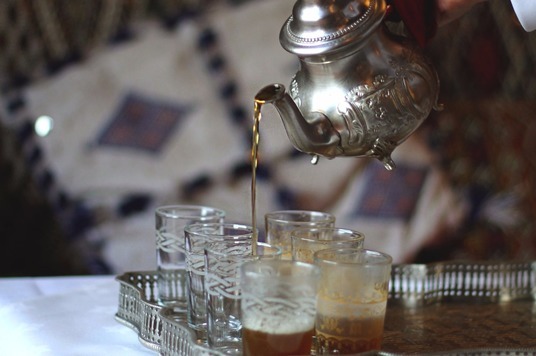 Their simple recipes, glorified with herbs & spices, are cooked in four royal cities; Fez, Meknes, Marrakesh and Rabat. 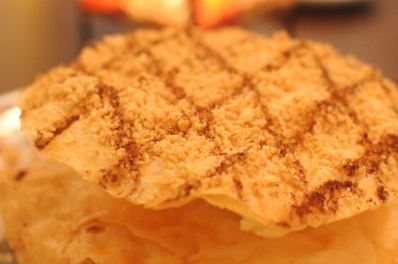 Homemade filo pastry filled with chicken and almonds - The starter to have.. 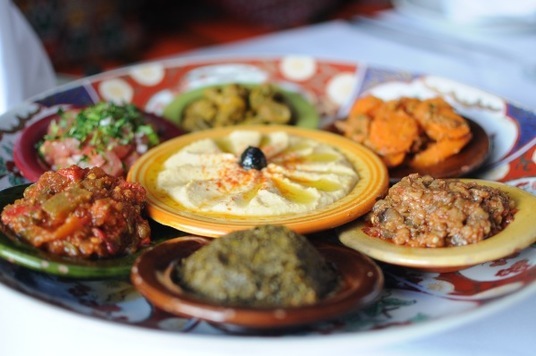 Selection of hot & cold starters: houmous, aubergine, roasted pepper and tomato, broad beans, carrots, lentils, spinach, filo pastry with vegetables, grilled mergas sausages, maakouda Belhout (homemade salmon fish cakes)and pitta bread.